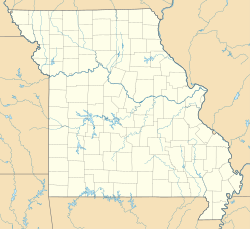 Peaceful Village (also known as Peaceful) is a village in Jefferson County, Missouri, United States. As of the 2010 census, Peaceful Village had a population of nine. According to the United States Census Bureau, the village has a total area of 0.17 square miles (0.44 km2), all land. As of the census of 2010, there were 9 people, 4 households, and 3 families residing in the village. The population density was 52.9 inhabitants per square mile (20.4/km2). There were 4 housing units at an average density of 23.5 per square mile (9.1/km2). The racial makeup of the village was 100.0% White. There were 4 households of which 25.0% were married couples living together, 50.0% had a female householder with no husband present, and 25.0% were non-families. 25.0% of all households were made up of individuals and 25% had someone living alone who was 65 years of age or older. The average household size was 2.25 and the average family size was 2.33. The median age in the village was 44.5 years. 0.0% of residents were under the age of 18; 22.2% were between the ages of 18 and 24; 33.3% were from 25 to 44; 11.1% were from 45 to 64; and 33.3% were 65 years of age or older. The gender makeup of the village was 33.3% male and 66.7% female. ^ "2010 Entity Changers" (TXT). 2.census.gov. Retrieved July 25, 2018. ^ a b c "US Gazetteer files 2010". United States Census Bureau. Archived from the original on January 24, 2012. Retrieved July 8, 2012. ^ a b "Village of Peaceful Village". Geographic Names Information System. United States Geological Survey. ^ "American FactFinder". U.S. Census Bureau. Retrieved March 4, 2011. This page was last edited on 3 November 2018, at 16:29 (UTC).